A white hybrid grape, early ripening and heavy cropping making an excellent wine. 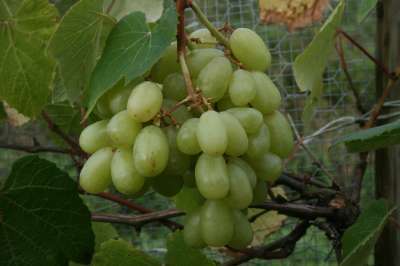 Produces regular cops of well flavoured grapes, especially good under cold conditions. Recommended.